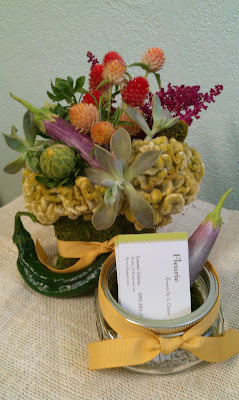 Fleurie | Flower Studio :: Thoughtfully Crafted Floral Design: We are on Botanical Brouhaha today! We are on Botanical Brouhaha today! I really like your style of work, so do not get tired of following your blog ... very nice decorations you like Botanical Brouhaha released today, this is a blog that also gladly follow. Greetings to you, and Thank you!